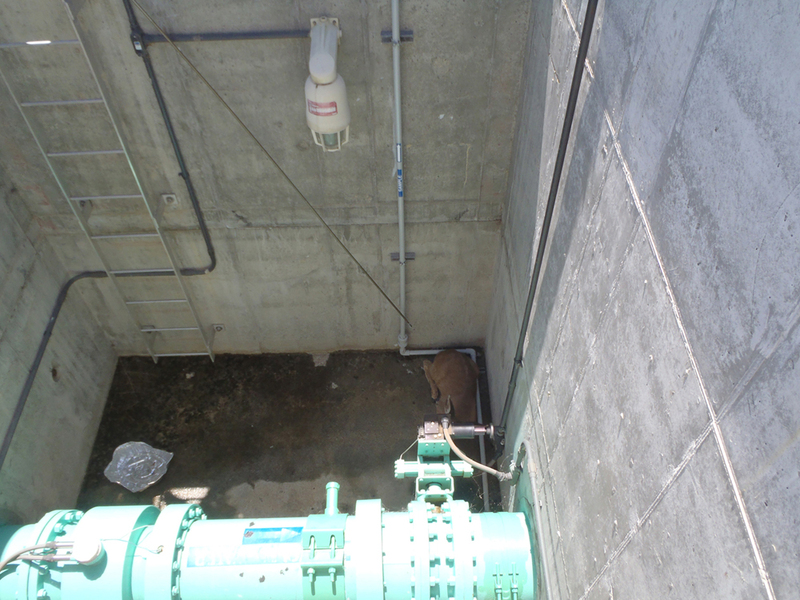 NOTE: On May 14, 2013, staff at the CDFW Wildlife Investigations Lab was asked to assist with the evaluation and possible rescue of a deer that had fallen into a deep concrete pit at the Roseville Wastewater Treatment Facility. 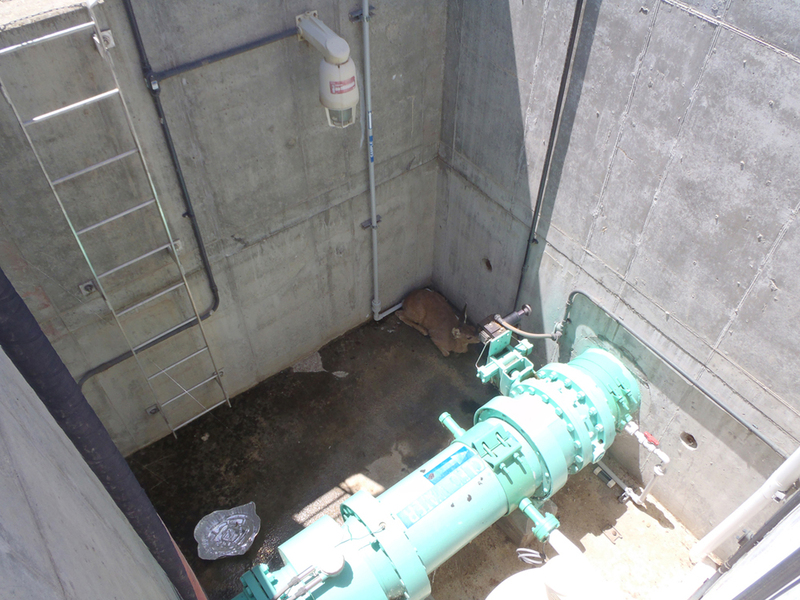 The deer had been discovered that morning by workers at the facility who speculated that the deer had fallen 15 feet into the pit the previous evening. When we first saw her, the small deer was lying down in the shade and appeared unhurt, which amazed us all. 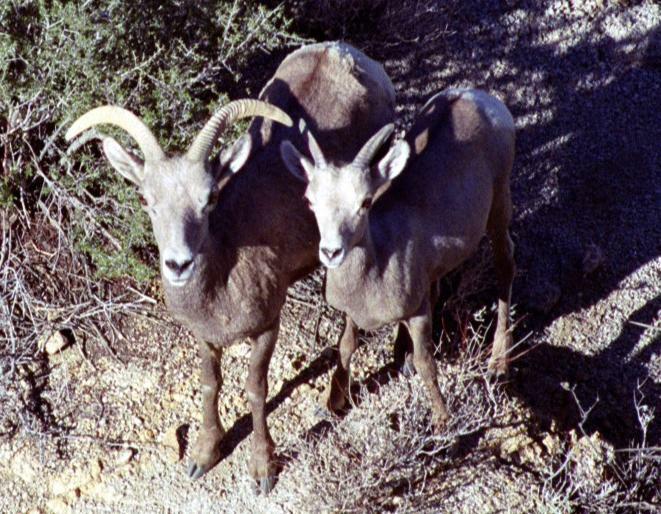 Environmental Scientists Canh Nguyen and Shelly Blair along with CDFW Veterinarian Dr. Pam Swift made an initial visual assessment of the doe from high above. They were slightly reassured about her condition when she stood for a few minutes. After consulting with the two biologists, Dr. 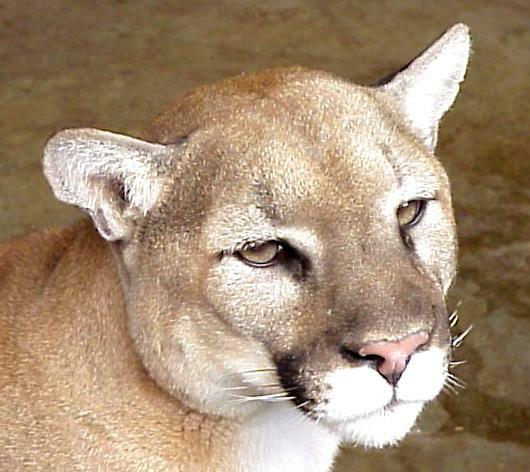 Swift decided that the preferred method for tranquilizing the animal was to inject her using a “jab-stick,” a metal pole assembled from six 2-foot sections that screwed into each other. Dr. Swift selected the medications she would use while Shelly kept detailed notes on all actions that were taken for the deer’s rescue. Everyone who had been anxiously watching the little deer was asked to move away, out of the doe’s sight, so she would remain calm while Dr. Swift managed the 12-foot jab-stick. Dr. Swift slowly lowered the stick down toward the flank of the deer and skillfully injected the unsuspecting animal with the tranquilizer. 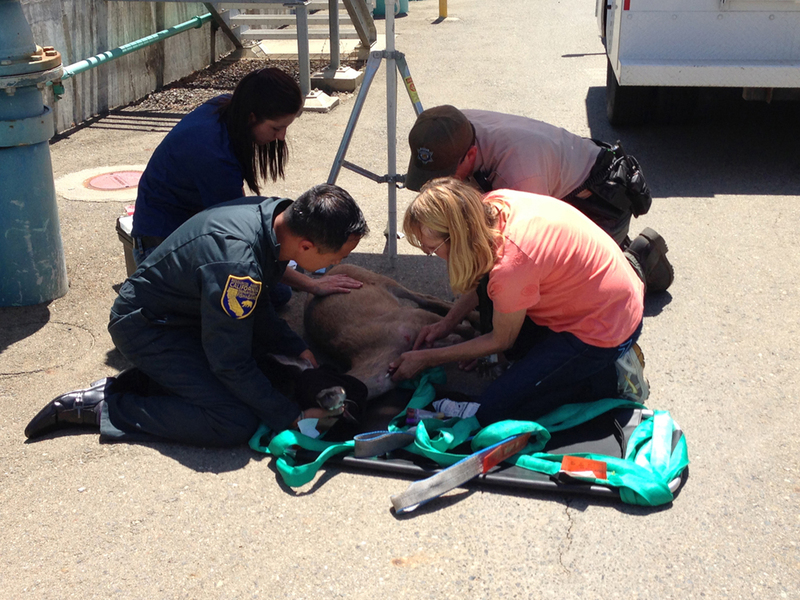 The deer had no visible reaction to the injection, but continued lying down in the shade by the corner. Everyone was happy that this difficult step in the process had gone so well. Dr Swift asked that everyone stay away from the top on the concrete wall for several minutes and to speak quietly so the deer would have no adverse stimulus. While we waited, we discussed how this small animal could have ended up at the bottom of the pit, which is surrounded by a 6-foot chain-link fence topped with barbed wire on one side. Did she jump from the top of the berm outside the fence? How did she not break one or more of her legs? Did she land on the concrete wall and slide down into the pit? 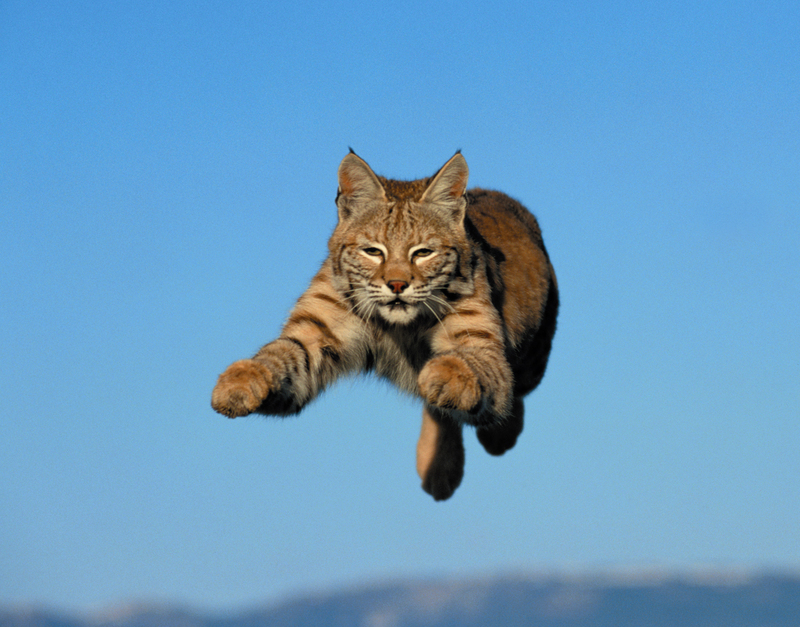 It seemed so improbable that she could be where she was without sustaining a life-threatening injury! 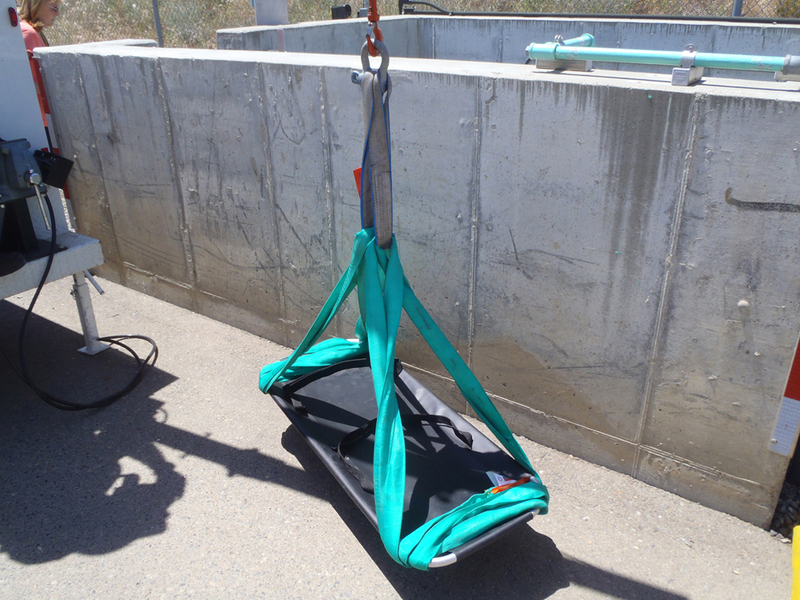 In order to remove the deer from the pit, workers at the facility readied a stretcher and attached it to a small crane. To ensure the deer was fully tranquilized, Dr. Swift gently tapped her with the jab stick. Steve Torres, a veteran in wildlife rescue, was the first one to go down the ladder. 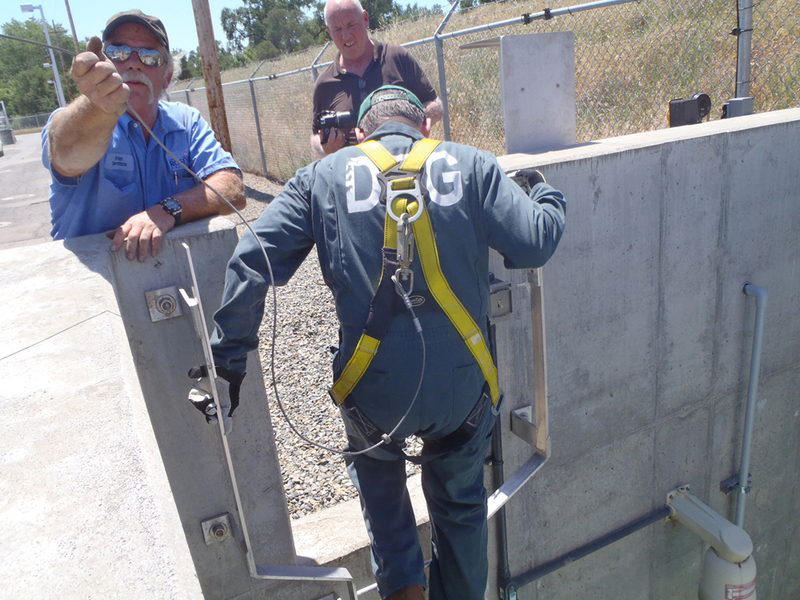 For his own safety, he was clipped into a harness before he began his descent. Next one down the ladder was wildlife biologist Canh Nguyen. 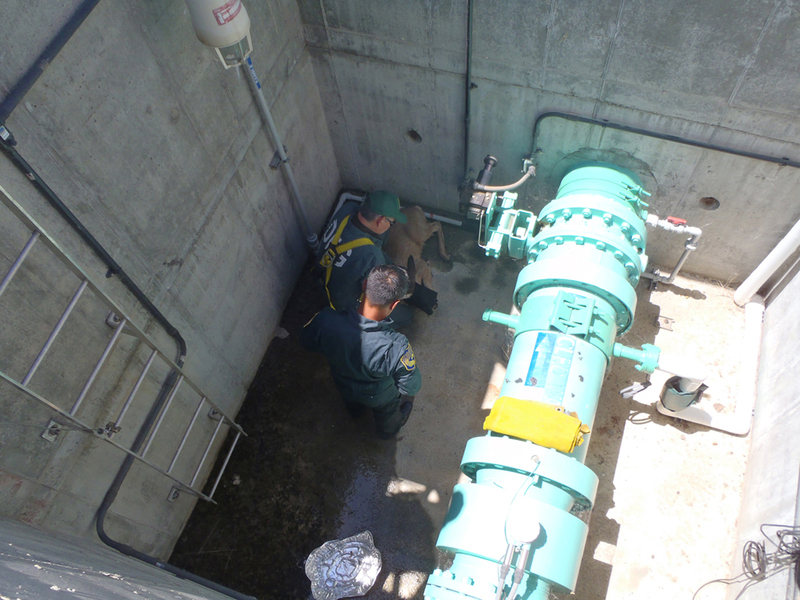 Once in the pit, the two biologists coordinated their rescue plan. First, Steve gently put a face mask on the deer. Then they “hobbled” the deer’s legs, using wide leather straps, to prevent injury to the rescue workers from an inadvertent kick. Finally, the deer was placed in a bag, which was then cinched shut with a rope. Canh held the doe’s head while Steve finished tying the rope. 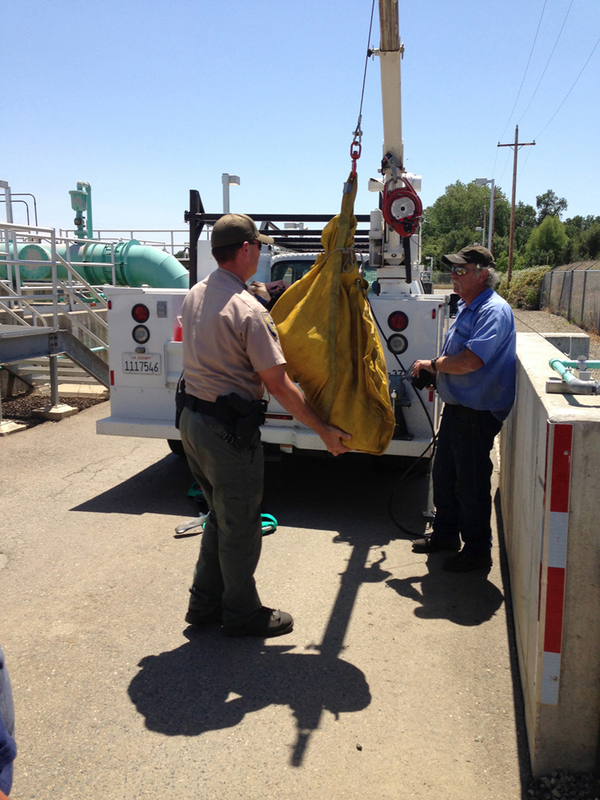 Then they attached the bag to the crane and slowly lifted the deer out of the pit. The Roseville Police, Placer County Sheriff, Placer County Animal Control, and the facility staff all joined in the effort. 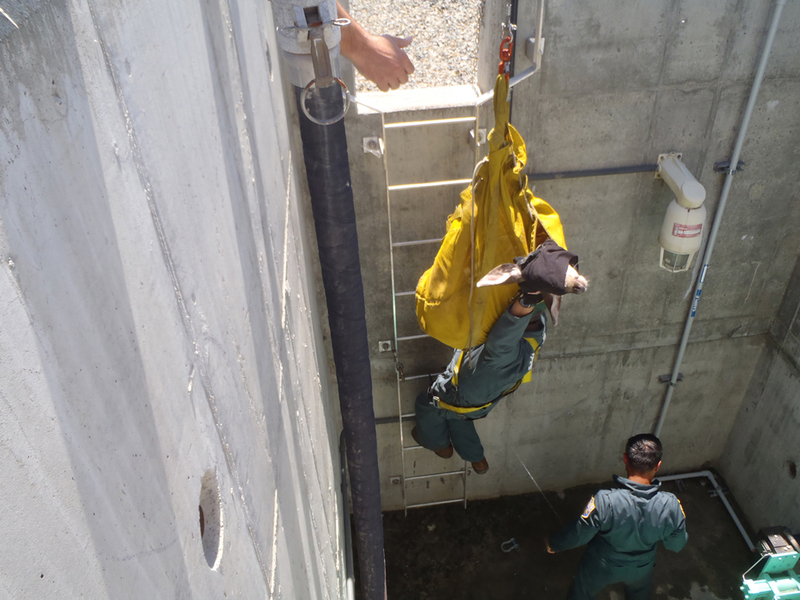 Warden Lt. John Lawson assisted the crane operator as they lowered the deer to the ground and placed her in a shady spot. The deer had her temperature, heart rate and respiratory rate checked, and Dr. Swift drew some blood for lab analysis. 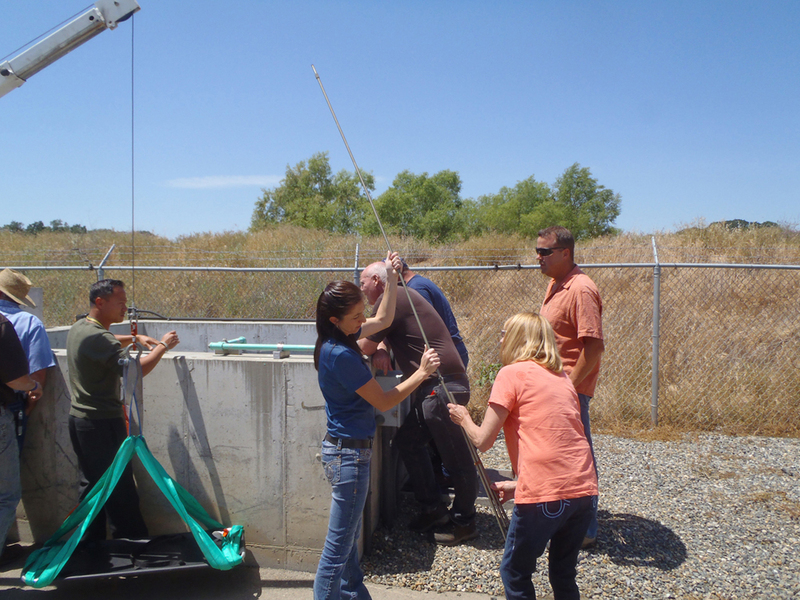 To bring her temperature down, they doused the animal with cool water from a nearby hose. 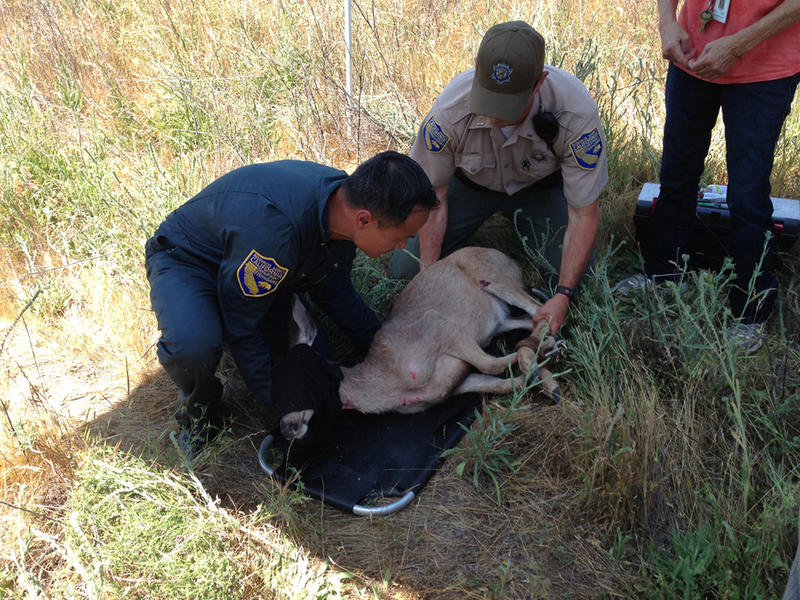 Once they determined the deer was in good condition, they identified an ideal spot to release her–a meadow near a small creek where there was an abundance of trees and no fences. They placed the deer in a shady spot near the meadow and Dr. Swift asked that everyone move away and maintain silence. She injected the deer with a drug that would reverse the effect of the tranquilizer.This was the last phase of the rescue. It was a sight for sore eyes! 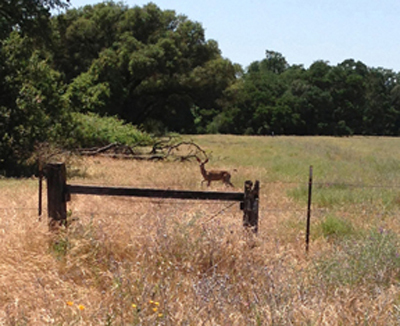 Much as we all felt like clapping, we watched in joyful silence as the little deer rose, struggled a little to stay upright and eventually walked in the exact direction we had hoped she would–toward natural shade, water, and, possibly, her family. She gave us one last look and walked steadily into the wooded area.